Beautiful 2009 P & 2009 S Lincoln Coins and Chronicles Proof. Set graded by NGC as near perfect PF69 Ultra Cameo. The Pennies have the PR69 RD Ultra Cameo designation. They have the Lincoln Label. This is a great set of coins for your collection. See below for mint facts about the coin set. Actual items pictured are what you will receive. 5 total graded coins. Lincoln Coin and Chronicles Set. Appearing as one of the most sought after products from the US Mint in recent history, the Lincoln Coin and Chronicles Set combined coins from two different 2009 offerings of the Mint. Included in the set was a 2009 Abraham Lincoln Commemorative Proof Silver Dollar as well as proof versions of the four different Lincoln Cents issued in 2009. Making the set even more unique was the fact that the cent coins were struck from the same 95% copper alloy composition used in the 1909 Lincoln Cents (the first cent coins to contain an image of Lincoln). Speculations of a quick sell-out were confirmed when the US Mint announced as much only 30 hours after the sets first became available. 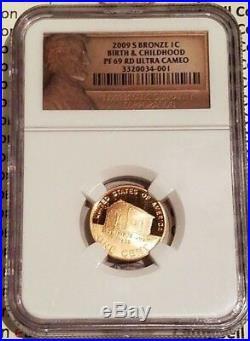 Lincoln Coin & Chronicles Set Contents. 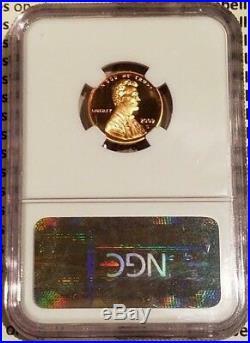 The 2009 Lincoln Coin & Chronicles Set contained several items which are shown below all graded by NGC. 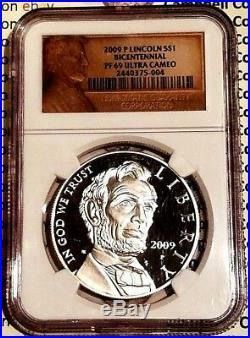 2009-P Abraham Lincoln Commemorative Proof Silver Dollar – NGC PF69 UCAM. 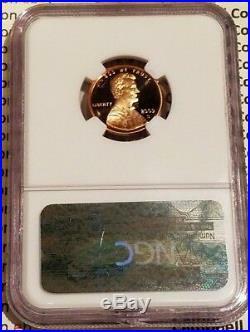 2009-S Lincoln Birthplace Cent – NGC PF69 RD UCAM. 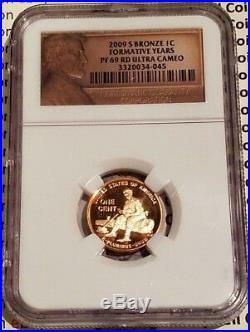 2009-S Lincoln Formative Years Cent – NGC PF69 RD UCAM. 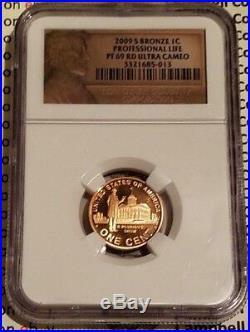 2009-S Lincoln Professional Life Cent – NGC PF69 RD UCAM. 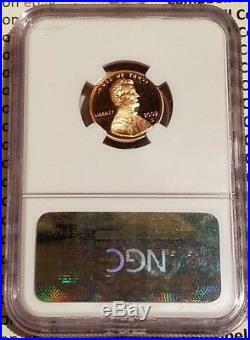 2009-S Lincoln Presidency Cent – NGC PF69 RD UCAM. The Lincoln Commemorative Silver Dollar was also issued separately from the Lincoln Coin and Chronicles Set in both proof and uncirculated varieties. Total Mintage across all product options for the Silver Dollar was 500,000 including the 50,000 reserved for this set. The Lincoln Coin and Chronicles Set proved extremely popular with collectors upon release and still command a premium on the secondary markets! The US Mint released the Lincoln Coin and Chronicles Set at Noon (Eastern) on October 15, 2009. The Lincoln Silver Dollar included in the set was struck at the US Mints facility in Philadelphia. The four 2009 Proof Lincoln Cents in the set were struck at the US Mints facility in San Francisco. Designer & Sculptor / Engraver. The portrait of Abraham Lincoln found on the obverse (heads side) of the Silver Dollar was designed by United States Mint Artistic Infusion Program Master Designer Justin Kunz and sculpted by United States Mint Sculptor-Engraver Don Everhart. 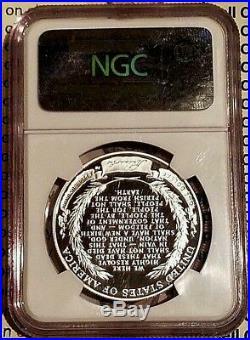 The reverse (tails side) shows the last 43 words of Lincolns famous Gettysburg Address as designed by United States Mint Sculptor-Engraver Phebe Hemphill. Lincolns portrait found on the obverse of the four 2009 Lincoln Cents in the set has been used with little modifications on the cent coin since 1909. It was originally designed by Victor David Brenner. 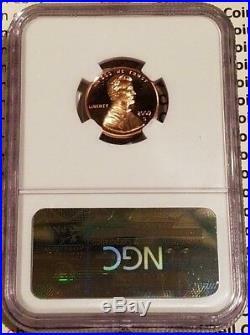 The reverse of the four cents each portray different aspects of Lincolns life. 2009 Birthplace Cent showing a log cabin emblematic of Lincolns humble beginnings in Kentucky designed by United States Mint Artistic Infusion Program Master Designer Richard Masters and sculpted by United States Mint Sculptor-Engraver Jim Licaretz. 2009 Formative Years Cent showing a young Lincoln in Indiana where he spent most of his growing up years designed and sculpted by United States Mint Sculptor-Engraver Charles Vickers. 2009 Professional Life Cent showing an adult Lincoln in front of the Old State Capitol Building in Springfield, Illinois where he practiced law and first participated in politics designed by United States Mint Artistic Infusion Program Master Designer Joel Iskowitz and sculpted by United States Mint Sculptor-Engraver Don Everhart. 2009 Presidency Cent showing an unfinished U. Capitol Building Dome as it would have appeared during Lincolns time in office designed by United States Mint Artistic Infusion Program Master Designer Susan Gamble and sculpted by United States Sculptor-Engraver Joseph Menna. Cents 95% copper, 5% tin and zinc. Cents 3.11 grams. Campbell Coins and Collectibles. 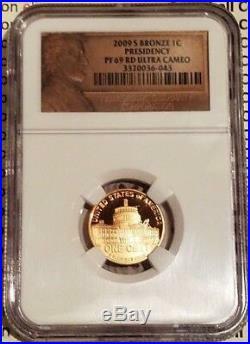 The item “2009 Proof Lincoln Coin and Chronicles Set 5-Coins NGC PF69 UCAM” is in sale since Tuesday, October 16, 2018. This item is in the category “Coins & Paper Money\Coins\ US\Commemorative\Modern Silver/Clad (1982-Now)”. The seller is “davecampbell99″ and is located in Connecticut. This item can be shipped to United States.